Held on the outskirts of Yosemite National Park, the Strawberry Music Festival, held twice a summer, is renowned for its free-spirited programming, swimming, and hiking at Birch Lake, superb arts and crafts, and more. The Strawberry Kids program offers activities for four different age groups, featuring a full lineup of music, arts and crafts, nature programs, dance and music workshops, and storytelling. A-list musical performers span many different genres, from folk and bluegrass to alt-country. You can attend the concerts or simply listen to the music at your campsite broadcast live on Hog Ranch Radio. Free for kids age 6 and under. Just 20 minutes outside of Asheville, LEAF is a biannual circus-like arts fest that's super kid-friendly and jam-packed with puppets, trapeze artists, magicians, unicyclers, hoop dancers, stilt-walkers and more. Families can camp out, go canoeing and swimming in Lake Eden, play dodgeball and Ultimate Frisbee, try slack-lining and zip-lining, shop for and create crafts, and enjoy music and poetry performed on seven stages. Free for kids age 9 and under. 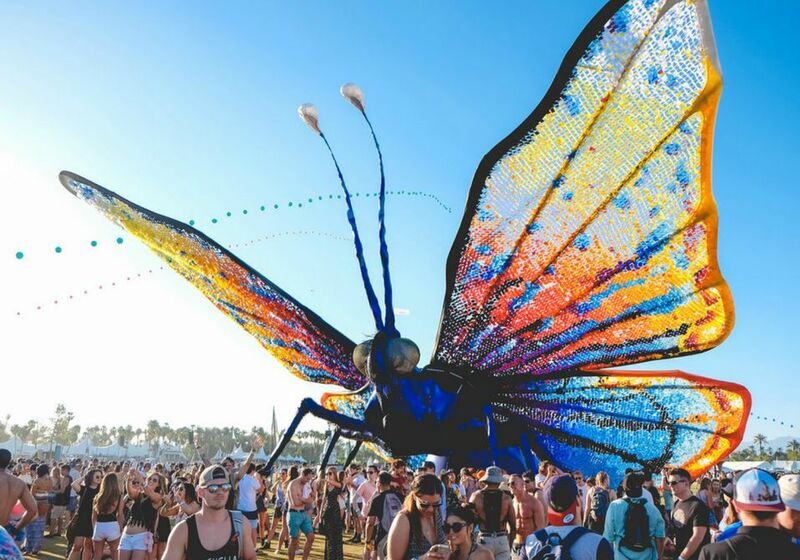 Twice a year, this kid-friendly global music fest draws thousands of families to the Mojave Desert at the gateway to Joshua Tree National Park. There are performances from dozens of musical artists from around the world, while Kidsville is chockablock with arts and crafts, yoga, dance parties, tie-dying, music workshops, circus shows, and storytime. Free for kids age 10 and under. Since 1971, Bumbershoot has been one of Seattle's premier culture and arts festivals, drawing families from all over the Pacific Northwest. The multi-disciplinary program showcases the best of comedy, dance, film, literary arts, performing arts, and theater, but it's the strong musical lineup of top acts that makes this fest a must. Geared to kids age 10 and under and sponsored by the Seattle Children"s Museum, the Youngershoot Kids Zone offers dedicated hands-on activities and workshops in dance, arts and crafts, and more. Free for kids age 7 and under. They say everything is bigger in Texas, and Austin City Limits Music Festival is definitely one of the largest kid-friendly events on our list, attracting tens of thousands of visitors and offering up music, food, markets. An area just for kids, Austin Kiddie Limits is packed with fun, creative activities for the under-10 set and offers services such as baby changing stations. Free for kids age 10 and under. About 20 miles outside Colorado's Rocky Mountain National Park in drop-dead-gorgeous Lyons, the annual Rocky Mountain Folks Festival hosts a slew of top-flight songwriters and their bands. Kids can spend all day playing in the St. Vrain River's shallow pools (supervising parents can plant lawn chairs right in the water), and families can go hiking, mountain biking, slack-lining, or visit the instrument petting zoo. Free for kids age 12 and under. Launched by Pete Seeger’s desire to clean up New York's Hudson River over 40 years ago, Clearwater’s Great Hudson River Revival has evolved to become one of the premier summer music and environmental festivals in America. Beyond the numerous top-tier musical acts, the fest offers a raft load of river fun (canoeing, kayaking, river seining—oh my! ), a children's area (face painting, hair wraps, mind maze, mask making, bubble wands), and a family stage with a full lineup of performers geared to children. Free for kids age 12 and under. Nearly two weeks of performers from every genre guarantees that Summerfest lives up to its billing as "the world's largest music festival." Set on the shores of Lake Michigan, the fest's lineup is massive, with over 800 acts on 11 stages over 11 days, with an atmosphere of a state fair. Headliners have included the Red Hot Chili Peppers, The Chainsmokers, Zac Brown Band, Pink, and Luke Bryan. The Kids Activity Tent offers fun including games, crafts, and music, and there are pedal boats and a splash pad where little ones can cool off. Free for kids age 2 and under. Don't let the name fool you. Yes, you'll hear plenty of jazz at this NOLA event, but it also draws blockbuster headliners from other genres (Bruce Springsteen, Billy Joel, Nora Jones, Meghan Trainor, Maroon 5, Kings of Leon, and Jon Bon Jovi have performed in the past). Bring your own folding chairs and enjoy Cajun cuisine and food and craft stand from around the region. Free for kids age 2 and under.